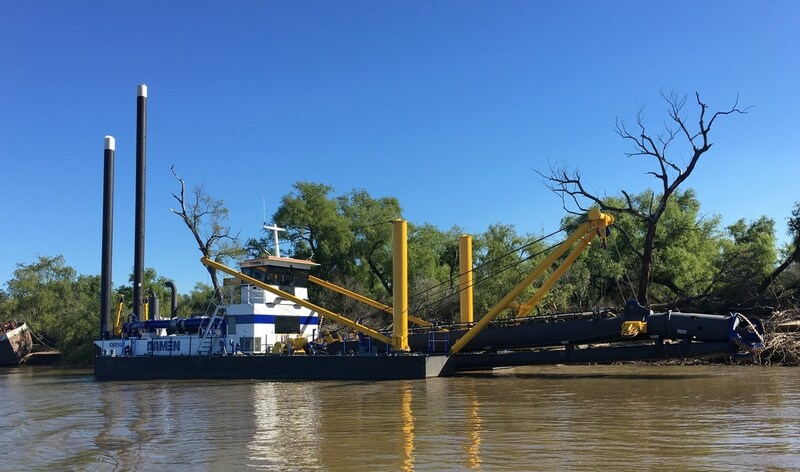 Home › Cutter Suction Dredger › Cutter Suction Dredger 500 › Cutter Suction Dredger 500 "La Portuaria"
This CSD500 has been delivered to the Argentinian company Puerto General de San Martin who purchased a Cutter Suction Dredger 500 including various options such as anchor booms, an accomodation unit and dredging instrumentation.The CSD500, which has been named 'La Portuaria', will be used for dredging operations on the Argentinian Paraná river. 'La Portuaria' has a modular design which makes it easy to transport almost anywhere. The dredger is rapdily reassembled on location requiring only relatively small locally-sourced cranes. Used for capital and maintenance dredging, the dredger is able to operate in water depths up to 16m and has a maximum swing width of 39.6m.